Repertory Philippines marks its 50th Golden Year in the theatre world this year and as part of their celebratory offerings this year, they are once again staging the emotionally charged and mentally stimulating drama, Agnes of God. First staged in 1983, Pinky Amador played the title role of Agnes and this time around, she plays the role of Mother Mirriam Ruth. Agnes of God poses a lot of life's riddles that will make one question faith in God, faith in oneself, and faith in humanity. It also presents the umbilical cord that binds us to our mother even after we become mothers ourselves and how a child's innocence turns into nightmare once it is shattered. 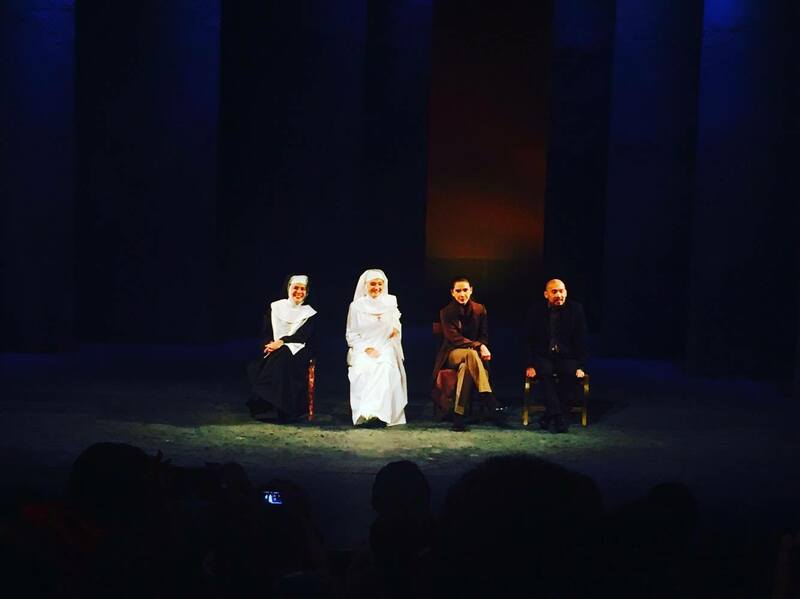 This latest staging of Agnes of God is top-billed by Becca Coates in the titular role of Agnes, Menchu Lauchengco-Yulo as Dr. Martha Livingston, and Pinky Amador as the Mother Superior. 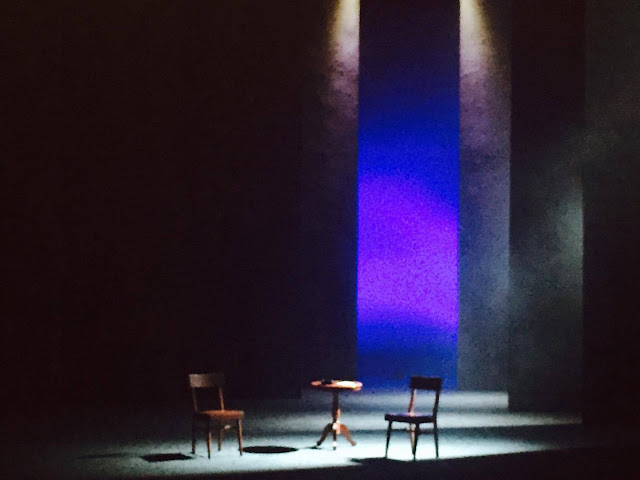 Be warned though that the play is fully charged with emotions that it can leave you breathless afterwards. Not for the faint-hearted and definitely not for kids. The play revolves around the young novice nun Agnes, who is accused of murdering a baby found in a wastebasket. Becca Coates deserve an acting award with her portrayal of Agnes. She is very refreshing in her sweet childlike innocence and that made Mother Mirriam Ruth and Dr. Livingston envelope her in their arms to protect her from the cruel world. Menchu Lauchengco-Yulo also delivers a very strong performance as the antagonist, Dr. Livingston who also happens to be dealing with personal and spiritual pain. Pinky Amador who plays the Mother Superior character has lesser impact with the audience though and just act as the conduit between the protagonist and the antagonist. 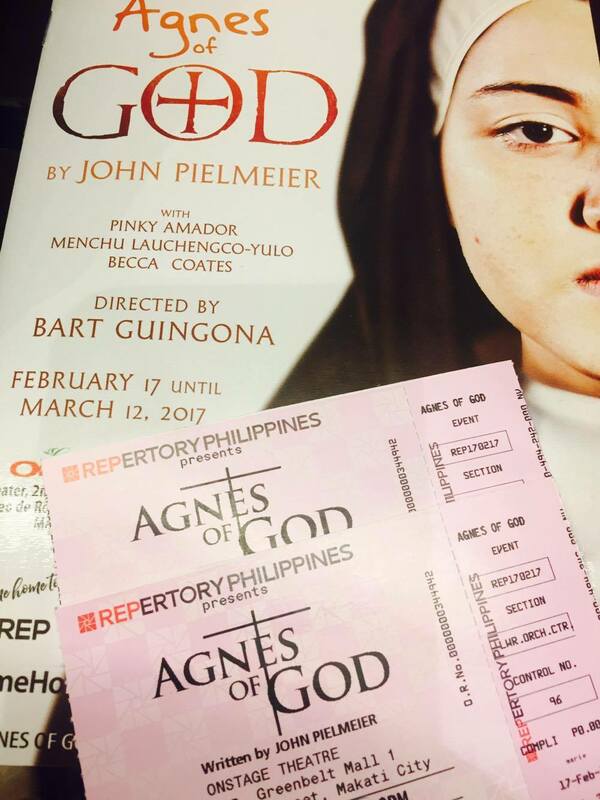 Agnes of God runs from February 17 to March 12, 2017 at OnStage Theatre in Greenbelt 1, Makati City. The play is directed by Bart Guingona and Joey Mendoza. Call REP at (02) 8433570 and Ticketworld at (02) 8919999 for tickets and show schedules.